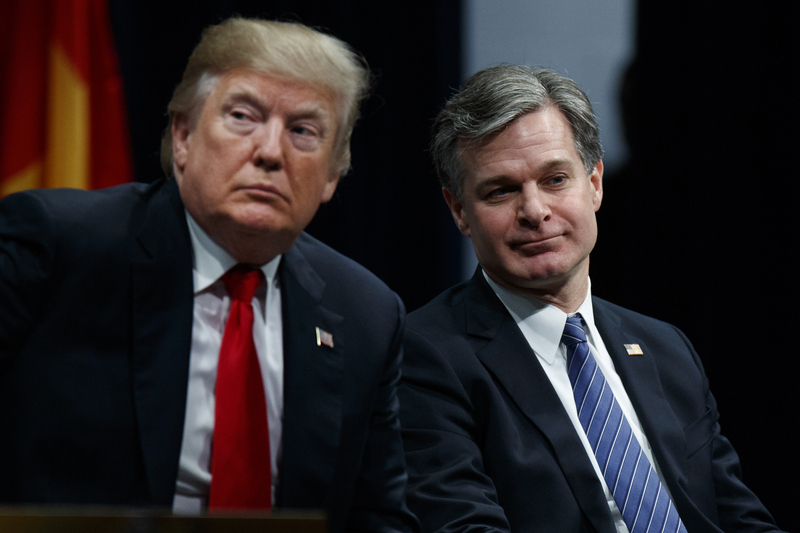 Christopher Wray: Yes sir, Mr. President. The FBI will conduct a fair and thorough investigation (wink, wink). We will not accept, let alone look for, damning testimony from any witnesses, even those who try to reach us. This all will be over in a week, just as you ask. Donald Trump: Good boy. You may keep your job. Wray: In fact, we have been hiding from those witnesses. This is beneath you. Really disappointing. You consider the truth to be disappointing? You’ve not heard about the witnesses who have been trying to reach the FBI, and have been turned away? You’ve not been concerned about an arbitrary, one-week time limit on an important investigation? You’ve not heard about Trump saying this is not what the FBI does, and later saying it is what the FBI does? You were not concerned about a candidate for the highest court, engaging in a partisan, angry, anti-Democrat, anti-Clinton rant? This is a serious time for America. Who is the “crazed, crying, lowlife dog”? Surprise! With Monetary Sovereignty actively recognized and in place, there would be no fear of job loss and no need to fear the truth. We all could simply be ourselves, no boot licking. I’m assuming MS’ retention of one’s standard of living in the event of unjust firing, similar to what unemployment compensation rules are based on. Actually, MS would probably prevent a lot of insecurity due to fear of being fired and, with no ax to hold over anyone’s head, a boss would be powerless to distort the truth. The workplace would be a fun place to be and meglomaniac bosses would cease to exist. President Trump, having been accused of sexual assault and misconduct himself by at least 22 women, defended his Supreme Court nominee Brett Kavanaugh during a rally in Mississippi on Tuesday by mocking one of the women who says Kavanaugh assaulted her when they were teenagers. The crowd laughed and cheered.